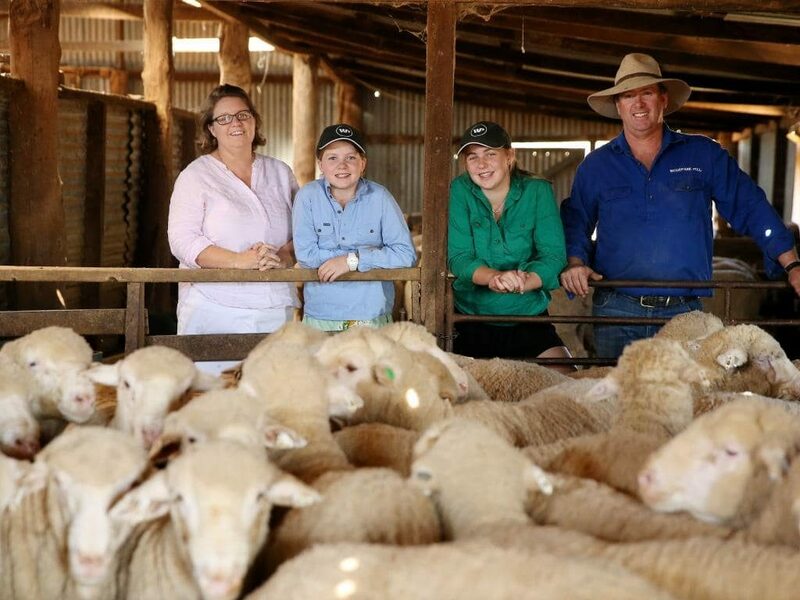 When it comes to breeding Merino sheep, Steve & Carol Huggins don’t adhere to mob mentality. On the vast, sun-drenched plains of the NSW western Riverina, a region steeped in Merino history, the principals of Woodpark poll stud are well aware that tradition doesn’t necessarily pay the bills. So, through a scientific, no-non-sense approach, they are paving the way forward with their own “type” of sheep. And the result speak for themselves; in recent years they have maintained lambing rates at an impressive 120 per cent, lifted wool cuts to more than 8kg and, since 2012, have increased the number of rams they sell by more than 60 per cent. WOODPARK Poll was founded in the mid-1980s by Steve’s uncles and aunt, Doug, Owen and Helen Huggins, at Jerilderie. With no client base to be guided by, or pressure to breed a certain type, the Huggins were able to set up their own type of animal. “At the time there wasn’t the depth of poll sheep in the industry,” Steve said. “You couldn’t go out, like you can now, and say ‘well I’m looking for this’ and go and select it. They really thought that to get anywhere we’ll need to do it ourselves”. Last year, the 2015-drop flock averaged 8.2kg of 18.2-micron wool while the entire drop of ewes – from two year olds to seven year olds – had a micron range from 17.7 to 18.7 micron. This year, 400 bales of wool were produced at shearing, with bigger wool cuts meaning it was up from 360-370 previously.